Shopping Fun up to size 10XL! 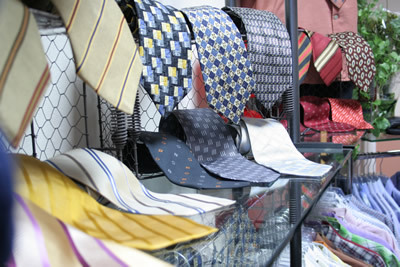 As a man wearing plus sizes you often have a small selection of choices. But that arduous search has come to an end because wearers of XXL men´s fashion will find the right clothing at GrößenWahnsinn! Whether a fine suit for a special occasion or the casual leisure jeans, you will find nearly every style in our shop, even up to size 10XL! Competent customer service for our clients with plus sizes is our top priority. The extensive assortment of plus size men´s clothing is constantly updated. From polo shirts to suit pants, strong men are in the best of hands. Men with the “special appeal” can dress themselves to their hearts content in new and used fashion from head to toe. 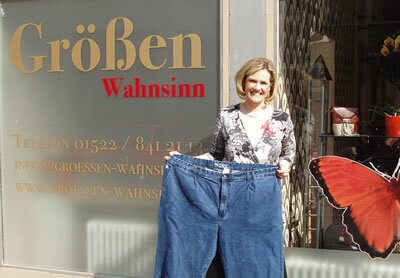 Visit us at our shop and have a look at our new men´s jeans up to size 10XL!